Udada is a remote Tribal village located in the hilly forest area of Daspalla Block in the Nayagarh District of Odisha. There are 45 Tribal families living here, all belonging to the Parija Tribe. Government officials rarely visit the village. There is no school, no electricity, no toilets and a lack of safe drinking water. All the villagers, including children, are illiterate. When JRP first approached the village to engage in its Project PANI to construct toilets and with the Madhu Network Extension Project to produce honey, the villagers were most reluctant, as their attitude to the Government was negative. Following three meetings between JRP staff, its volunteers and the villagers (growing from just 5 women at the first meeting to 20 women and 5 men by the third meeting), the villagers visited Badakuradangi village to see its beekeeping and toilet construction activities. This visit changed their attitude completely and they agreed to engage in the toilet and beekeeping activities. A Self-Help Group (SHG) with 12 women, a Farmers’ Club with 50 men and a Sathi Club (to address health issues) with 15 adolescent girls were organised. 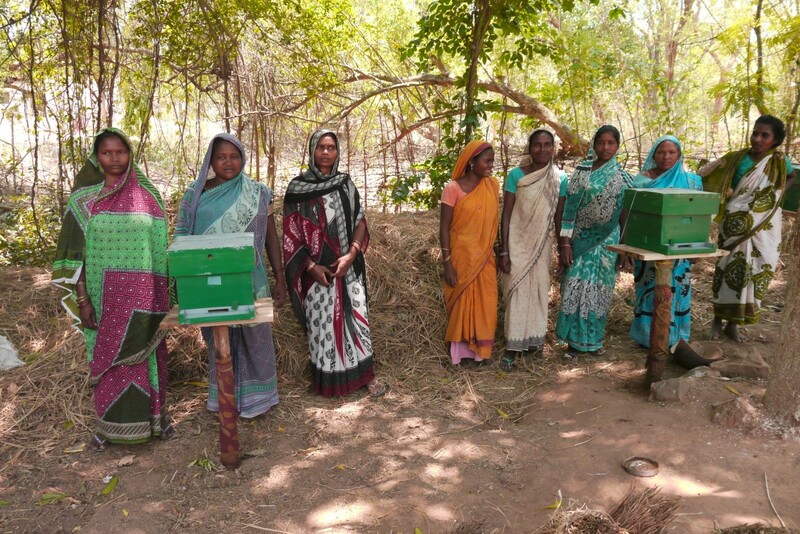 Under the MNEP, vegetable seeds were provided for cultivation on two acres of land; 1 bee box was provided to each of 12 women and beekeeping training was conducted for the SHG, and for all villagers. The SHG has now generated 7 kgs of honey which it sold for Rs 2100 (approx. £21). With the support of Jeevika and JRP, 45 toilets have now been constructed and the village has been declared an ‘open defecation-free village’. The villagers are now demanding access to safe drinking water and JRP, together with the villagers, have been lobbying the Government to assist with their request. A healthy sign that Udada is fast becoming less remote! At Jeevika we are committed to helping improve many more Tribal villages just like Udada. For more information on our projects and how you can get involved with our work please take a look at our current projects page.